Becca Shimmering Skin Perfector in Champagne Pop: Review & Swatch! 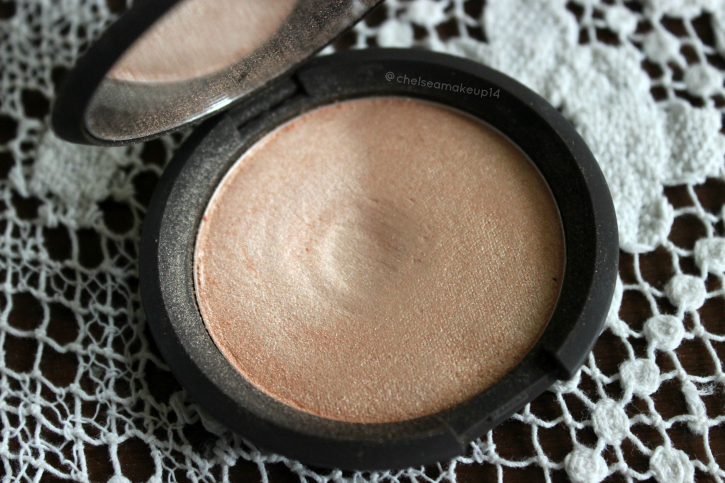 | Chelsea B.
Becca Shimmering Skin Perfector in Champagne Pop: Review & Swatch! 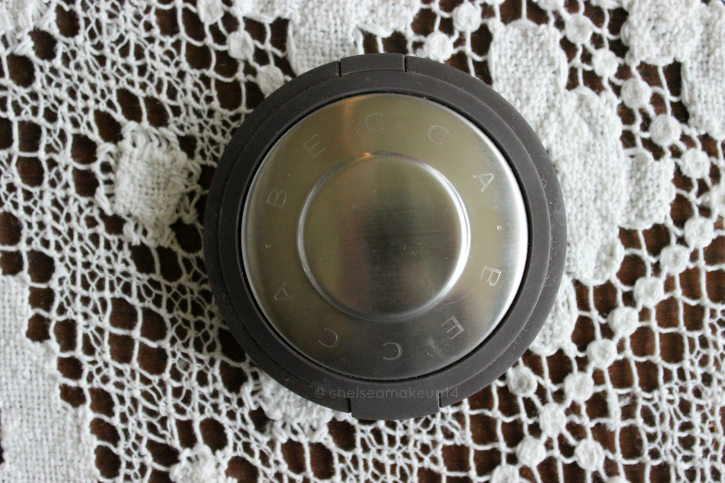 Today, I wanted to share with you guys one of the most talked about products in the beauty community, the Becca Shimmering Skin Perfector in Champagne Pop. This beautiful product was created by the amazing Jaclyn Hill in collaboration with Becca Cosmetics. I know I'm a little behind by just now reviewing it, even though I've had Champagne Pop in my collection for a few months. Champagne Pop is a beautiful soft white gold with pinky peach undertones. The formulation of this product is amazing! It's such a soft formulation, like butter. And it's super pigmented. A little bit of this product goes a long way, because it is so pigmented. I tend to have a heavy hand when it comes to applying highlighter (and bronzer) but, I kind of like how it looks when I wear quite a bit of highlighter. If you're not like me and don't have a heavy hand, then this highlighter will give you a beautiful and natural glow. I've only used this on my fair winter skin, and I can't wait to give it a try this summer when I'm tanner! I think this highlighter looks beautiful on all skin tones. My swatch picture didn't turn out exactly how I wanted it to. I always talk about how lipsticks have amazing staying power, the places on my arm are after using a makeup removing wipe AND soap and water to remove lipsticks that I swatched earlier in the day. 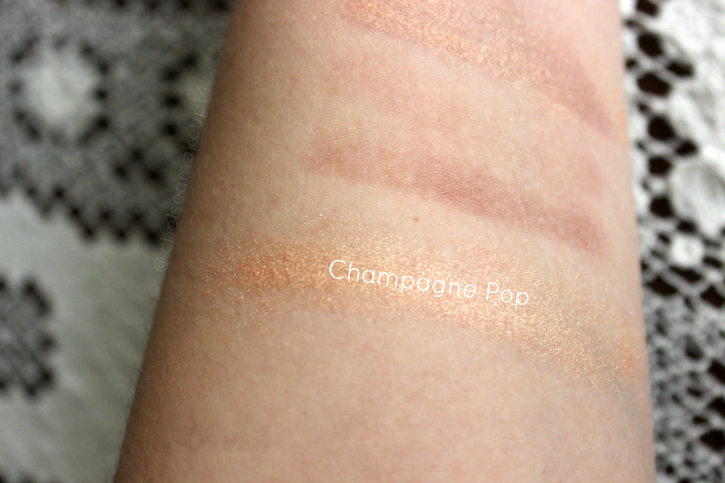 Anyways, Champagne Pop is written on the picture so you guys can tell what you're looking at. Sorry this picture is so awful! I might redo the picture later. You can find Champagne Pop at Sephora for around $38. Have you tried Champagne Pop? What do you think? Let me know in the comments! ColourPop Lippie Stix: Review & Swatches!